The National Security Agency descends on the Las Vegas hacker convention looking for fresh blood to turn into "cyber warriors." 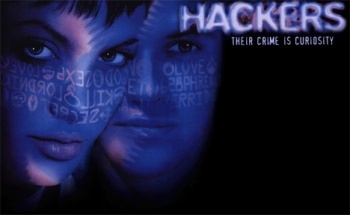 DefCon is an annual gathering of hackers in Sin City which incongruously allows people who've only conversed in IRC chat rooms to meet face-to-face. The convention will cover all of the hot topics in hackerdom today, including panels on techniques and a fair amount of boasting of hacker exploits. The cost to attend is $150 cash - no credit cards or trackable currency allowed - but many hackers will walk away from DefCon with a fancy new job. High-tech corporations always have a presence trying to recruit the often intelligent hacker community to work for them, but perhaps the most intriguing story is that the oft-misunderstood government agency - the NSA - is also entreating former hackers to become cyber warriors in the fight against America's enemies online. "Today it's cyber warriors that we're looking for, not rocket scientists," said Richard "Dickie" George from the NSA. "That's the race that we're in today. And we need the best and brightest to be ready to take on this cyber warrior status." The joke that Washington tells about the NSA is that the acronym stands for "No Such Agency" for its secretive operations conducted to keep U.S. citizens safe. Many of the 30,000 employees (reportedly greater in number than both the CIA and the FBI) are already steeped in hacker culture, having previously crossed the legal line from entitlement into enforcement. "When I walk down the hall there are people that I see every day and I never know what color their hair's going to be," George said. "And it's a bonus if they're wearing shoes. We've been in some sense a collection of geeks for a long, long time." The NSA plans to hire 1,500 workers by the end of September, and another 1,500 next year most of which will become cyber warriors. I'm not sure if anyone who starts working for the NSA will start retaliating against the likes of Anonymous or the nameless criminals who downed Sony's PlayStation Network earlier this year, but I'd say that's probably a good place to start. And also, please one of you just start walking around the NSA offices claiming that you are Zero Cool and you crashed 1507 computers in one day.